On May 31, ISPI Montreal will host a bilingual panel discussion on “The Impact of Artificial Intelligence (AI) on Performance” at Temps Libre Coop. Our panel will be composed of AI specialists who have studied the performance improvement potential of human machine collaboration, including Isabelle Tremblay, PhD, who is Product Director at D-Tech and an organizational psychology consultant. 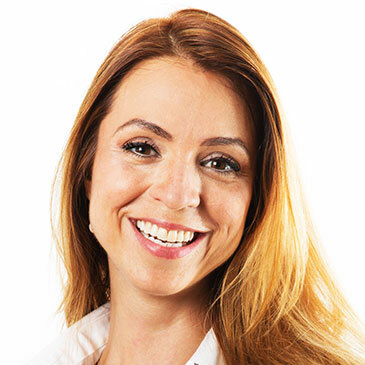 Isabelle Tremblay started her career in communications, working for Quebecor while pursuing her doctorate in organizational psychology at the University of Montreal. She has taught at the University of Montreal and the University of Sherbrooke, published in scientific journals, and presented at numerous national and international conferences on themes such as team performance and employee retention. She stepped into the role of consultant in 2012, joining SPB, an organizational psychology firm, in 2015. Her areas of expertise are organizational development, change management and employee potential appraisal evaluations. Pairing her passion for research with consulting, she got involved in a small project with SPB, called D-TECK. This project aimed to maximize the potential of the data accumulated on the thousands of employee potential appraisal evaluations conducted each year and to evaluate if it was possible to automate the analysis performed by organizational psychology experts to assess competencies. This project was so successful that D-TECK became an incorporated firm in June 2017. D-TECK’s mission is to help organizations to identify and groom talent with tools that are rigorous, predictive and accessible. Isabelle leads D-TECK’s product department, introducing innovations to existing product lines. She is currently working to replace the algorithms now used in the company’s products with AI powered algorithms.